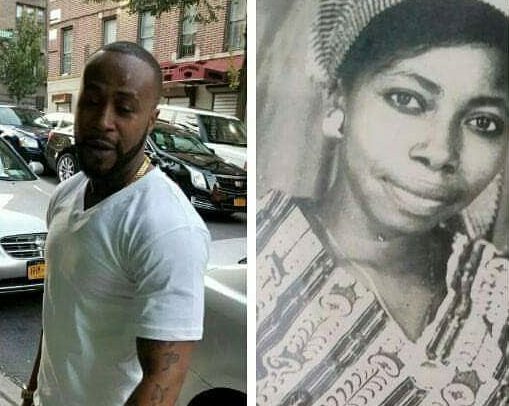 Rapper Promzy, who is well known for his unique and immense contribution to the group, VIP, has unfortunately lost his mother. The musician took to social media to announce the sad demise of his beloved mother on Monday. “Just lost my mum. Even though it’s a painful state now, I’m trying to cope and be strong. God knows best. Have a wonderful week kings and queens,” he said on Facebook. “When you find your path, you must not be afraid. You need to have sufficient courage to make mistakes. Disappointment, defeat and despair are the tools God uses to show us the way,” he further said in an additional image to the post. There is no detail about the cause of death. Again, there is no further detail about who she was but Promzy has, in the past, reportedly made posts about her on Facebook emphasizing a strong bond between them. Pops my strength and sunlight (r.i.paradise… I really missed you)…,” he posted on Facebook last year on September 11. Promzy was a member of VIP, one of the first music groups which emerged during the early stages of hiplife. They produced some of the massive hits the country has ever had. In 1998, they released their first album, ‘Bibi Baa O’. In 2000, they released their second album, ‘Ye De Aba’, which was more successful than their first album. Their third album, ‘Lumbe Lumbe Lumbe’, in 2001 had the smash hit song, ‘Daben Na Odo Beba’. In 2003, VIP took the music industry by storm with their album, ‘Ahomka Womu’. The ‘Ahomka Womu’ song was number one on the Ghanaian charts for over 20 weeks. VIP won several awards at the Ghana Music Awards and the group gained international exposure after this success. In 2013, the group announced that Promzy was no longer a member, but they didn’t really state what led to their split-up.